What is it about ‘converted warehouses’ that appeal to the design-savvy and creatively astute? After all, their history is commonplace with roots in factories and warehouses. Despite their mundane heritage, they serve as a reminder of truly great workmanship, still standing after many years and ultimately offering an authenticity which cannot be recreated. Converted Warehouses offer character filled interiors by preserving their much-loved exposed individuality which tells a story, often far beyond our time. What’s more; they are found in the bustle of any major metropolis, offering vast amounts of space; a highly unusual trait not found in its neighboring buildings. So we know that these luxury pad’s offer big spaces with lots of character, but the question is: How do you create a homely vibe with key features such as; large windows, high ceiling, exposes beams, ducts and pipes, loft spaces, wood and metal surfaces and bare bones flooring? You use them to your advantage! Here is a 5 step guide, allowing the combination of industrial style and cozy chic interiors to reign supreme. Recycling or upcycling pieces to use as furniture in industrial spaces adds patina and quirkiness! The use of repurposed wood to create custom creations will fit the space you need. 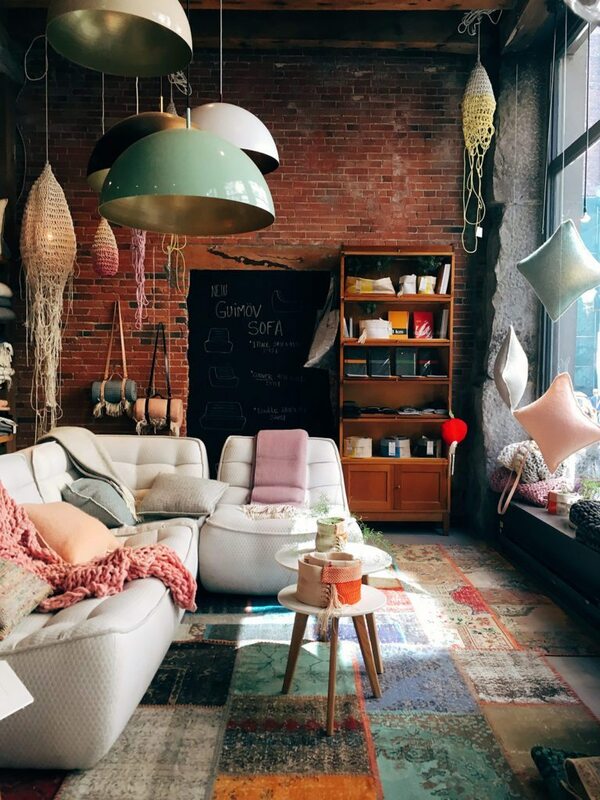 Why not try recycled materials to create funky beanbags and extravagant lighting. There is a stigma that old industrial buildings are dark and gloomy but they don’t have to be! Use the light to your advantage and paint vast areas in white. You will be pleasantly surprised with how light and airy the end result will be! Space is your friend, not foe! When you begin your design journey it may feel like you will never fill the space. It won’t be long until you eat your words! Embrace the space and before long you will have filled it with just the right number of items. Remember not to clutter the space as this will hinder the open plan living and dining areas which are supposed to flow seamlessly. Modern design against historic architecture can work wonders! 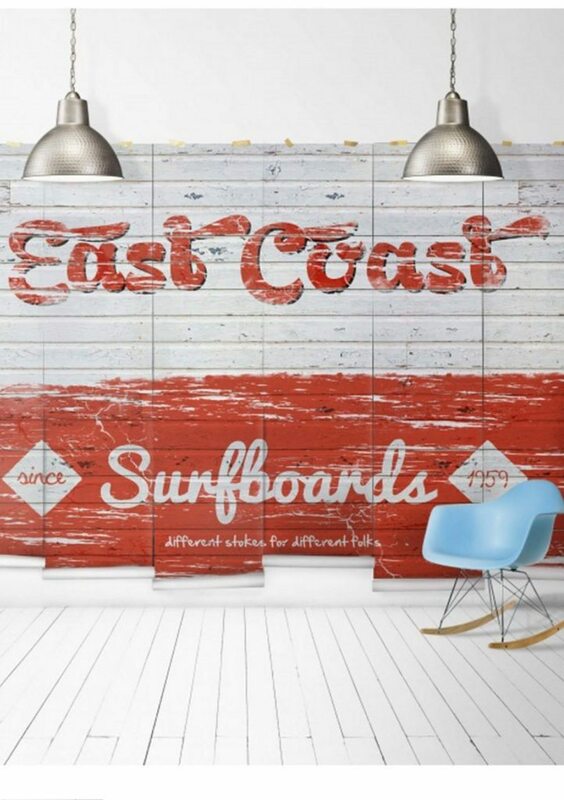 Try Milton & King’s studio ‘East Coast Surfboards’ mural. Available in large, perfect for the space offered in a converted warehouse! This ultra-chilled wall mural is perfect for a bedroom or living area and its vintage industrial look will work wonderfully into the natural character- filled interiors. Polished concrete, aged wooden boards- even rubber! – look amazing in industrial spaces. Avoid rugs as they will break up the look! We love filling industrial spaces! What are your tips in homely yet industrial inspired home decor? Let us know in the comments!